US National library of Health “The object of this study is to answer the question: Is acupuncture of any use in ophthalmology? Ophthalmology today can boast of 95% accuracy in diagnosis, but modern therapeutics has not caught up with diagnosis. Despite an inability to explain in modern scientific terms the healing power of acupuncture, documentation of over 500 cases treated shows that this modality can be successful in the treatment of eye diseases, especially in cases of retinitis pigmentosa, high myopia, cataracts, surgical aphakia, controlled glaucoma and re-attached ablation retinae. Diplopia is the subjective complaint of seeing 2 images instead of one and is often referred to as double-vision or binocular diplopia in lay parlance. What can cause double vision? Diplopia due to ocular misalignment can be due to pathology in brain, nerve or ocular muscles and be double vision causes. Sometimes it can be due to drugs also. Patching one eye, stick-on occlusive lenses, double vision glasses, prism glasses for double vision line Fresnel prisms, treatment of myasthenia gravis with drugs, orthoptic exercises, orthoptic exercises can help some extent. Surgical intervention. It may be carried out in certain cases with uncertain results. 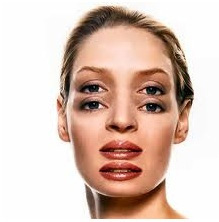 Double vision cure by seeing double vision therapy of acupuncture is very effective as exemplified below. 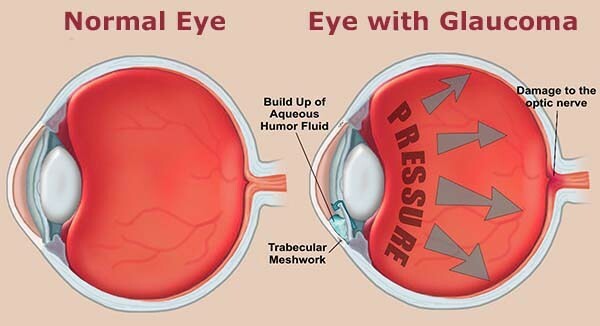 Glaucoma is eye pressure disease in which pressure inside eye increases silently without symptoms and signs. Glaucoma eye may damage optic nerve and cause blindness. There may be no early warning signs of glaucoma of eye. Primary open angle glaucoma symptoms Most people don’t have any early glaucoma symptoms. Early symptom can be loss of peripheral vision. Glaucoma pain in eye can also be first signal. Glaucoma blurred vision or halos may also make patients see doctors. When flow of fluid of eye gets blocked at mesh; pressure builds up inside and presses on optic nerve. Cause of blockage is unknown but can be hereditary. Glaucoma Diagnosis and Treatment Glaucoma is primarily diagnosed by ophthalmologists or glaucoma specialists. Glaucoma testing is done tonometer and dilatation of pupils and looking at retina and optic nerve. Glaucoma tests are painless and take very little time. IOP was significantly improved at 15 minutes after acupuncture, at one week, two weeks, and five weeks and tended to be lower weekly. Uncorrected visual acuity was significantly improved at three weeks, four weeks, and five weeks, and best corrected visual acuity was significantly improved at five weeks. However at the four-week follow-up, significance remained only in uncorrected visual acuity. Following are treatment options glaucoma. Glaucoma eye drops may be used or glaucoma medications may be needed. Early glaucoma treatment is essential before permanent blindness sets in. Glaucoma surgery are laser surgery and microsurgery to create channels to increase fluid flow in eyes Glaucoma cure: Once vision is lost it cannot be restored. However, most patients can maintain vision; if proper treatment is followed. Ayurvedic and Homeopathic Treatments Patients report having taken Ayurvedic treatment for glaucoma and reported some relief also. Similarly, Homeopathic treatment for glaucoma has also had some satisfied patients. Acupressure treatment for glaucoma has limited scope. 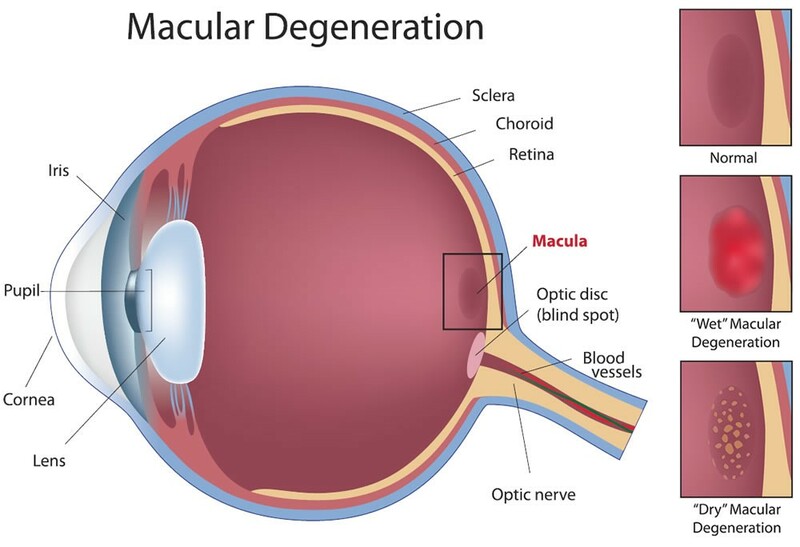 Age related macular degeneration (AMD): This degenerative eye disease where there is irreversible vision loss in people over 60 years of age. 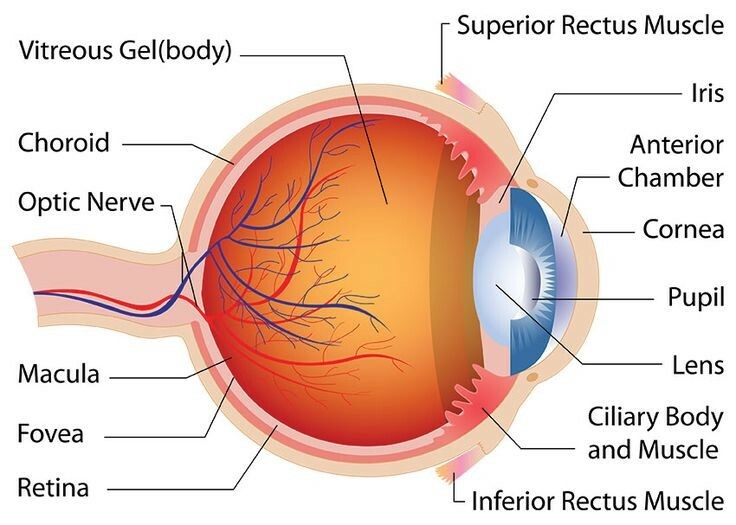 There are two types of AMD - wet macular degeneration and dry macular degeneration. Most patients are of dry form which can lead to wet macular degeneration. Macular degeneration test: Diagnosis is evident of eye examination with detection of drusen – yellow pigment deposits under retina. Macular degeneration grid or Amsler grid is also visible in macular degeneration. Since it is degenerative disease, currently no macular degeneration cure, but treatments may prevent severe vision loss or slow the progression of the disease considerably. There are several options are available, including acupuncture. is group of disorders characterised by progressive loss of peripheral vision and night vision difficulties. Retinitis pigmentosa genetics may be factor responsible for the disease. It is chronic retinal degeneration disorder and is major cause of blindness. What causes retinitis pigmentosa? Retinitis pigmentosa inheritance is main factor for disease. Retinitis pigmentosa symptoms Retinitis pigmentosa vision loss at night is hallmark of disease. Other signs may be peripheral and latter central vision loss. Retinitis pigmentosa diagnosis: Because retinitis pigmentosa causes are inheritance, family history needs to look at. If retinitis pigmentosa is accompanied by hearing loss; it is called Usher Syndrome. Acupuncture treatment for retinitis pigmentosa Acupuncture however can help some patients of retinitis pigmentosa and prognosis may improve in selected patients as given here. It takes series of intensive treatments to see the results because of the highly complex nature of Retinitis Pigmentosa. Dr. Pardeshi Acupuncture Therapy use micro acupuncture, electro-acupuncture methods for retinitis pigmentosa treatment in Nashik. Retinitis Pigmentosa patients can expect to recover varying degrees of vision field. Retinitis pigmentosa cure is not possible at present. So the therapies like retinitis pigmentosa glasses are limited. Optic atrophy or optic neuropathy is final stage of axon degeneration and manifests in changes in colour and structure of optic disc with visual dysfunction. In later stages of optic nerve disease, pale optic disc or optic nerve pallor is seen. Ischemic optic neuropathy is also evident in latter stages of optic atrophy. In nutritional optic nerve degeneration temporal pallor is seen. Traumatic optic nerve damage also shows pale optic nerve. Ischemic optic neuropathy is seen when the pressure of perfusion of the ciliary body falls below the intraocular pressure. Optic neuritis is seen after inflammation of meninges. Optic atrophy is sign of disease process, therefore optic atrophy treatment and optic nerve atrophy prognosis depends upon actual cause. Optic nerve atrophy in child or genetic optic nerve atrophy appears in first or second decade of life. Optic nerve atrophy symptoms in such cases start early and slowly progress. Intravenous steroid is useful in optic neuritis and ischemic optic neuritis. In case of optic atrophy genetic cause, Leberis drug is useful. For optic nerve atrophy stem cell therapy is also being tried. 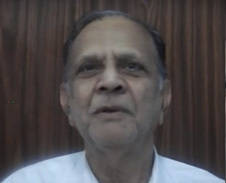 Other therapies under banner of optic nerve atrophy Ayurvedic treatment and optic nerve atrophy treatment homeopathy are also in vogue but efficacy is not known. There is no role of optic nerve atrophy surgery. There is no optic nerve atrophy cure at present therefore treatment s symptomatic and preventive. Therefore acupuncture has major role in managing symptoms.